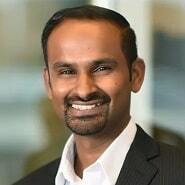 This blog is part of a series written by Sampath Narayanan, CIO of ConcertoHealth, on the work his team is doing to improve population health outcomes. ConcertoHealth originated as a primary care medical group focused on managing dual-eligible Medicare/Medicaid beneficiaries, a population that costs the US healthcare system more than $306 billion annually, according to CMS. At least 60 percent of these beneficiaries are diagnosed with three or more chronic conditions, and therefore require services beyond our Care Centers, including acute, long-term and behavioral health services. As a risk-bearing provider partner, ConcertoHealth assumes responsibility for each patient’s complete care, regardless of setting. Therefore, it is critical for us to effectively manage transitions of care (TOCs) to prevent unnecessary admissions and reduce readmissions. To proactively address avoidable hospital admissions and readmissions, we equipped our Interdisciplinary Care Teams (ICTs) with Patient3D, a homegrown population health data analytics platform that provides a real-time, 360-degree view of each patient’s record. Patient3D pulls data from across ConcertoHealth’s EMRs, and care management and utilization management systems, and extracts relevant claims, quality, documentation, and risk stratification data from the company’s enterprise data warehouse. In addition, ConcertoHealth is partnering with state and regional HIEs to gather and publish near real-time alerts on patients’ acute admissions, discharges, and ED visits through Patient3D. The system prompts ICT users with intervention opportunities, which has enabled us to reduce average admissions-per-thousand by 30.3 percent, and reduce average readmission rates by 17.1 percent. When a patient presents at the ED, Patient3D prompts the medical director, who then reviews the Patient Intervention Report (PIR), health summary, and longitudinal health history, and then contacts the ED. By better understanding the patient’s condition, providers can work together to jointly determine the most appropriate course of action, which can include admission, observational stay, or “treat-and-release” followed by an immediate PCP visit. In our experience, the partner facilities have benefited from the additional clinical insights and the opportunity to allocate beds to patients with the greatest need. Since Patient3D was implemented, ConcertoHealth has seen an increase in the proportion of admissions to lower-cost settings, with skilled nursing facility admissions going from 19 to 24 percent, and observational stays rising from 37 to 45 percent. Facilitating TOCs and preventing readmissions must be a team effort. Patient3D was designed to provide full transparency and enable ICT coordination. At ConcertoHealth, we view the care management team (CM) as the quarterback. Patient3D alerts the CM of an admission, who then contacts the hospital and patient to facilitate discharge to a lower care-setting or to the home, as appropriate. The playbook resides in Patient3D, where the CM is prompted to conduct a TOC assessment that informs care plan updates. It also generates a “LACE” index score that projects the patient’s probability for readmission. The CM ensures the patient’s needs are met, which may include social services, durable medical equipment, medication adherence, disease management, waiver services, and more. Ongoing support helps ensure a smooth transition for patients to their new level of care. Throughout the process, the PCP relies on Patient3D to inform daily bed control meetings. Upon discharge, the physician’s office proactively contacts the patient to schedule a follow-up visit, which enables condition management and medication reconciliation, thus reducing readmission risk. For ConcertoHealth patients, 77.1 percent of hospital discharges have resulted in an ambulatory care follow-up within 30 days. One recent beneficiary of this tech-enabled coordinated approach is a 49-year-old male patient from St. Clair Shores, Mich., with necrotizing pancreatitis and multi-organ failure. The patient required stays across four hospital systems and three post-acute care facilities. ConcertoHealth’s ICT bridged each transition to prevent duplication of services, fulfill unmet medication needs, counsel on next medical steps, and provide nutrition planning and family support. In doing so, we successfully minimized his admissions and readmissions over a period of six to eight months, and the patient has made a nearly full recovery. Reducing avoidable admissions and readmissions is only one set of outcomes attributed to our proprietary technology, Patient3D. The data transparency and insights afforded by this platform also impact other healthcare objectives, such as managing high-risk patients, addressing ED “frequent flyers,” targeting medication, and motivating PCPs. In the next installment, we’ll examine some of those outcomes.